Redbet dates back to far 2002. The website was founded then by a group of Swedish sports betting professionals. 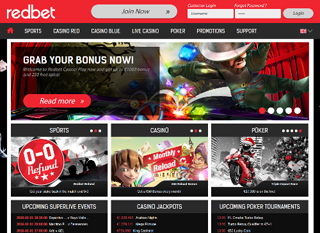 Redbet launched the online casino in 2004, two years after the creation of the company. The website is publicly held by Redbet Gaming Ltd and is licensed under the jurisdiction of Malta. The owner of many fair gaming and security certificates, Redbet is one of the safest places to bet on sports and play casino games on the Internet. The bookmaker offers a very steady amount of games, too. The online casino uses games from NetEnt, Betsoft, Microgaming Quickfire and more. One of the best features of the website is the almost complete mobile support. Players can enjoy their favorite games on Android, iOS, and other platforms. Redbet holds a steady position, currently placed 137 000 th most visited website in the world and 58875th in the United Kingdom. These numbers show how many players trust and use the online bookie every day. The positive reviews and reports of very fast payouts further reinforce this thesis. The Redbet bookmaker welcomes players with a classy combination of red and black. 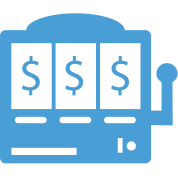 The website’s many betting options are neatly placed in a horizontal menu above the fold, as well as in big, picture buttons in the lower part of the page. The highest jackpots are always listed on the home page. The bottom half of Redbet’s online betting platform contains tons of information, payment methods list, and a support menu. Overall, the website is very intuitive and easy to use. The platform is very reliable and perfectly friendly to unexperienced users. Redbet’s online sportsbook has everything an aspiring betting master would need. From football to tennis, to ice hockey – almost all the sports you can bet on are available. The live betting section is pretty straightforward – you can bet on matches that are currently being played, complemented by variable, fluctuating betting odds throughout the games. Take the wheel and show the world how good your sports knowledge is! The bookmaker, Redbet, also offers a wide array of casino games. There are three sections for those games – Casino Red, Casino Blue and Live Casino. The games in each of the sections are provided by various software providers – NetEnt, Betsoft, NYX Interactive. In Redbet’s casino section, players can enjoy 17 table games, over 60 slot machine games, six video poker games, three live games and about 20 jackpot games. This vast selection and the constant bonus opportunities have won the hearts of many casino gamers around the world. One of the few betting websites that offer live poker tables, Redbet make sure they keep their players satisfied. The bookmaker uses the OnGame network client, which can be downloaded or used in a browser for maximum flexibility. People say that playing through the downloadable client is safer, but this is not confirmed yet. 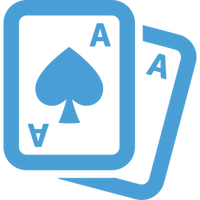 Customers can enjoy their live poker tables on both Windows and Mac OS X systems. The odds on Redbet are very competitive and will keep you playing there. The platform offers all the regular betting options – 1X2, handicaps, exact goals, correct team goals, first team to score, and many others. It is likely to lose yourself in the plethora of ever-changing odds, but the most experienced players will thrive in this environment. The odds go from as low as 1.01 to above an x40 ratio. The odds on Redbet allow for high wins, but keep recreational players around, too. Redbet utilizes a Thawte powered SSL encryption in their connections. Aside from the technical safety and protection, Redbet owns a plethora of certifications from various organizations. The bookie has RNG certification, GWPA, MGA, Gambling Commission and a few more certifications for fair play. The customer service on Redbet online betting website is always top-notch. The support department can be reached by telephone, e-mail and the live chat widget on the website. They have a set working time, but the questions are usually answered within 24 hours of the submission. You can expect a very professional and friendly experience with the staff, they are quite capable to handle almost every difficult situation. Redbet can be viewed in various languages that you can review in the table. As you can see, the bookie is focusing on European players. Depositing and withdrawing funds from Redbet is made as easy as possible. The bookmaker accepts Visa and Mastercard, as well as all kinds of e-wallet platforms. Withdrawing money is done the same way. A lot of people have confirmed, that withdrawing through Neteller can get you your money as fast as between 12 and 24 hours. Redbet strikes one more point. However, the bookie only accepts EUR as their currency, which should not be a problem, if you are playing from Europe. Redbet offers many gifts to their new players for Sports, Casino and Poker betting. 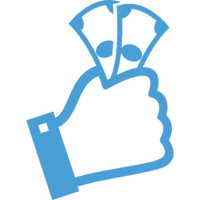 The Sport bonus is to place a 20 EUR bet and then get 2×10 EUR free bets. The gifts are located mostly in the casino section. Some of the currently available codes can net you 25% top up, 50 free spins on the slots, doubling of your funds, 100 free spins on Twin Spin, Five daily free spins and many more. As you can see, the bookie can keep you turning for a long time! These bonuses cannot be compared to the money you can win, but they are a good way to start your Redbet career.